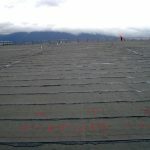 Learn more at the Vancouver Convention Centre Home Page. 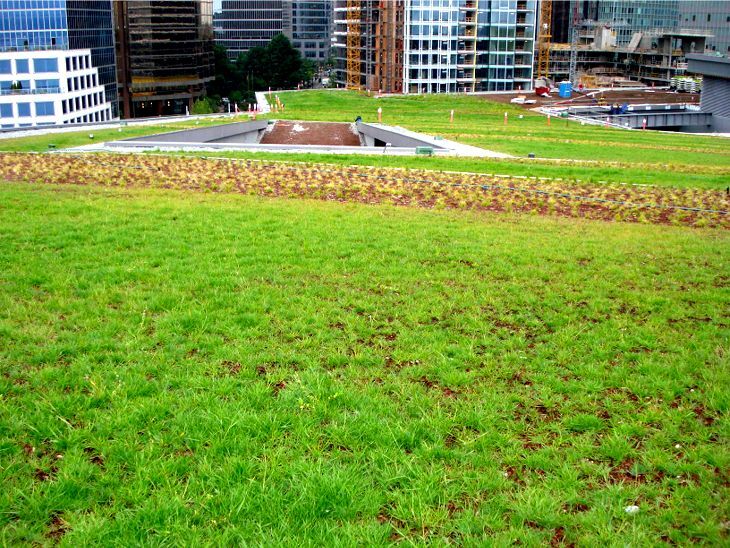 See the 4:31 video Vancouver’s 6 Acre Living Green Roof on YouTube by David Buge which, according to Bruce Hemstock of PWL Partnership Landscape Architects Inc., “not only captures the roof visually but also does a good job of explaining the premise behind the design.” See the project profiles from PWL Partnership Landscape Architect and Flynn Canada. 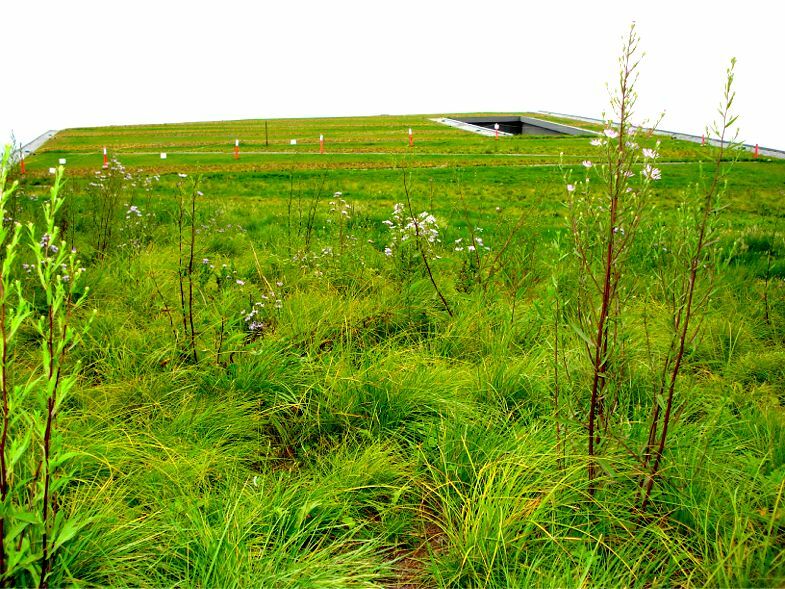 Learn more about the project in Richard Hayden’s Sloped and Complex Green Roofs from Greenroofs.com’s inaugural 2011 Greenroofs & Walls of the World(TM) Virtual Summit on our GreenroofsTV channel on YouTube. 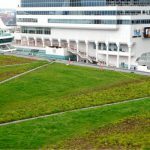 See the November 24, 2011 Grading Vancouver’s giant green roof by Steve Whysall in the Vancouver Sun; download the Vancouver Convention Centre’s February 9, 2010 Vancouver Convention Centre Goes Platinum press release; November 7, 2008 Dignitaries gather for some urban planting by Mary Frances Hill in the Vancouver Sun. 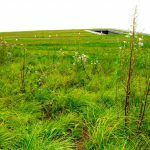 Contact PWL Partnership Landscape Architects Inc. at http://www.pwlpartnership.com/. 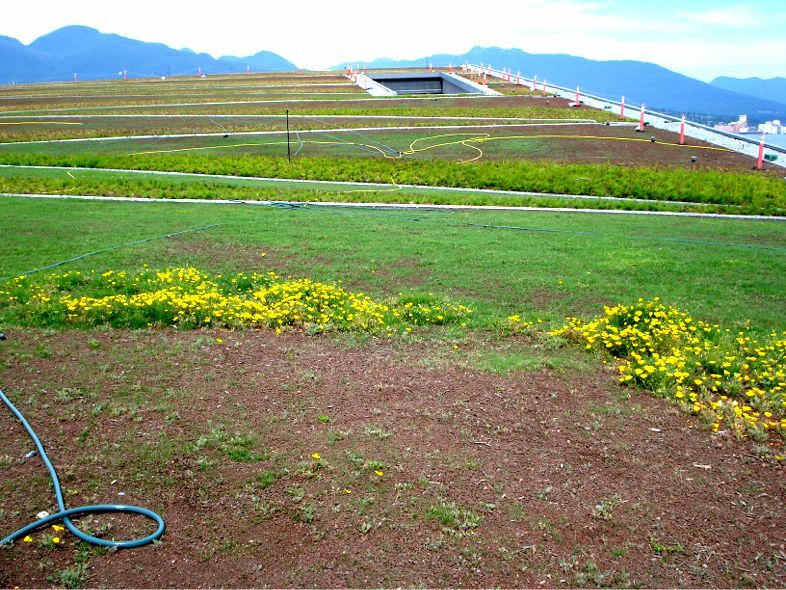 The Vancouver Convention Centre Expansion Project was highlighted in the 2009 Greenroofs of the World(TM) Calendar from Greenroofs.com in the month of April. 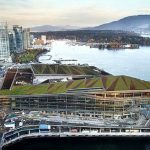 The Vancouver Convention Centre is LEED Platinum certified for new construction by the Canada Green Building Council, the first convention center in the world to receive this highest level of LEED certification. 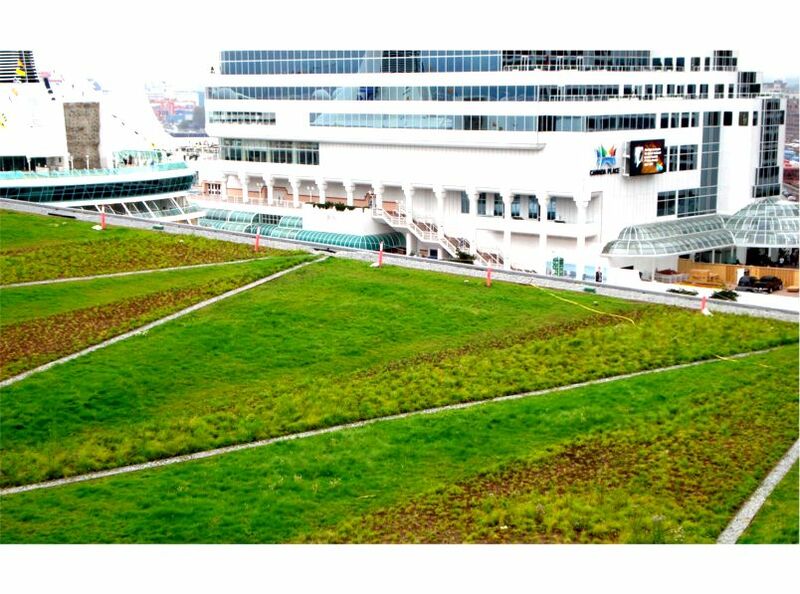 Also known as the Vancouver Convention Centre West, it opened on April 3, 2009 and is truly a model in sustainability for a civic building of this size. 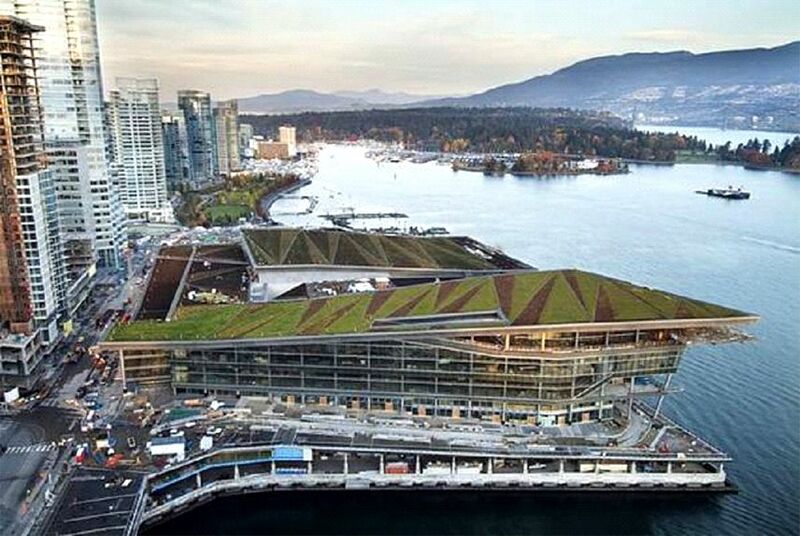 Designed by Seattle-based LMN Architects, the Vancouver Convention Centre West features a six-acre green roof, which is the largest in Canada and the largest non-industrial living roof in all of North America (as of April, 2009). 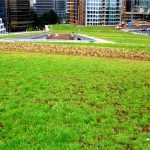 – The green roof is designed to act as an insulator, projected to reduce summer heat gains by up to 95 percent and winter heat losses by up to 26 percent. 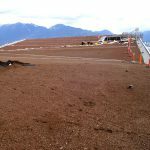 – Canadian Premier Gordon Campbell took part in the final planting, saying “The living roof is going to be something that is recognized around the world.” See related story below. 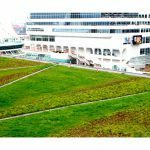 – The convention centre project was designed to achieve LEED Canada Gold certification, but received Platinum. 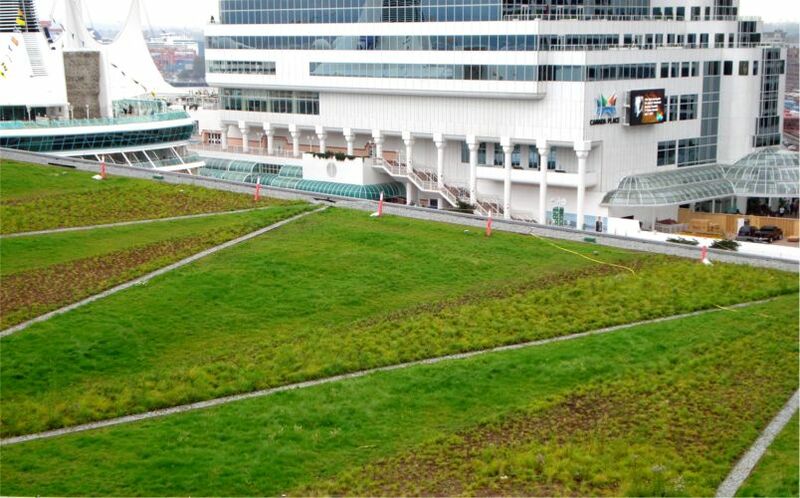 – In 2010, the Vancouver Convention Centre West served as the international broadcast and media center for the XXI Olympic & Paralympic Winter Games, and was the focus of attention for millions of viewers worldwide. 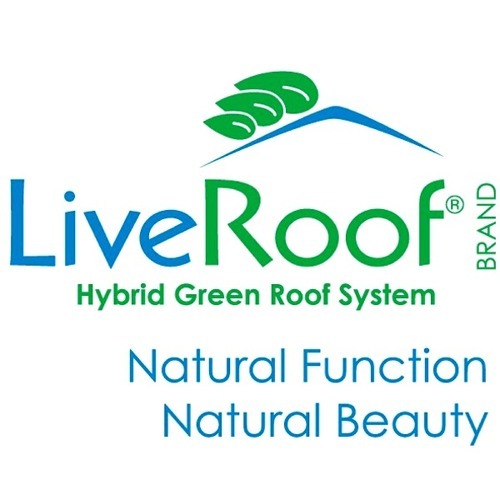 The slope of this roof is quite unique and ranges from 3% to 56%. 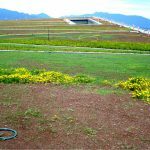 PWL Partnership Landscape Architects Inc. lead the green roof team in developing the design, plants selection, growing medium design, detailing, nursery propagation coordination and installation field review. 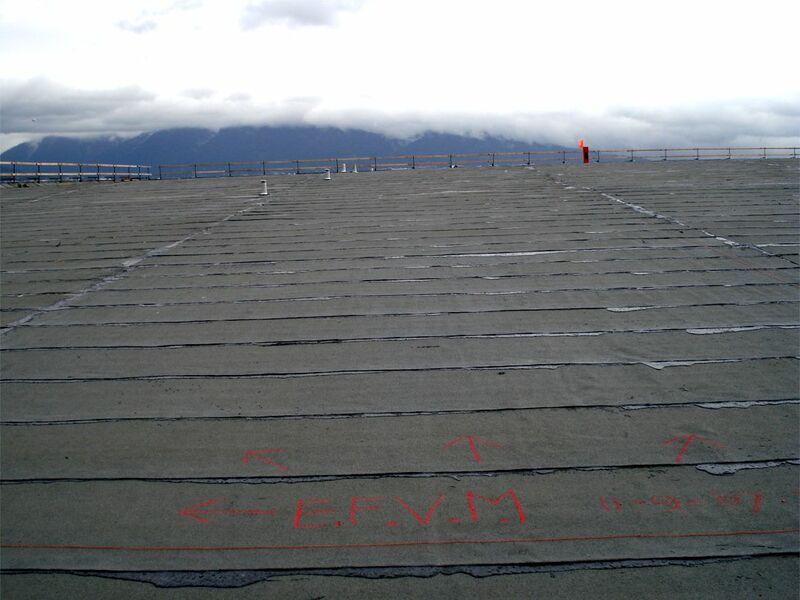 ILD was brought on board to test the integrity of the waterproofing membrane prior to the installation of the overburden and as a retest after the overburden was installed, resulting in the installation of International Leak Detection’s (ILD) Electric Field Vector Mapping (EFVM) system. 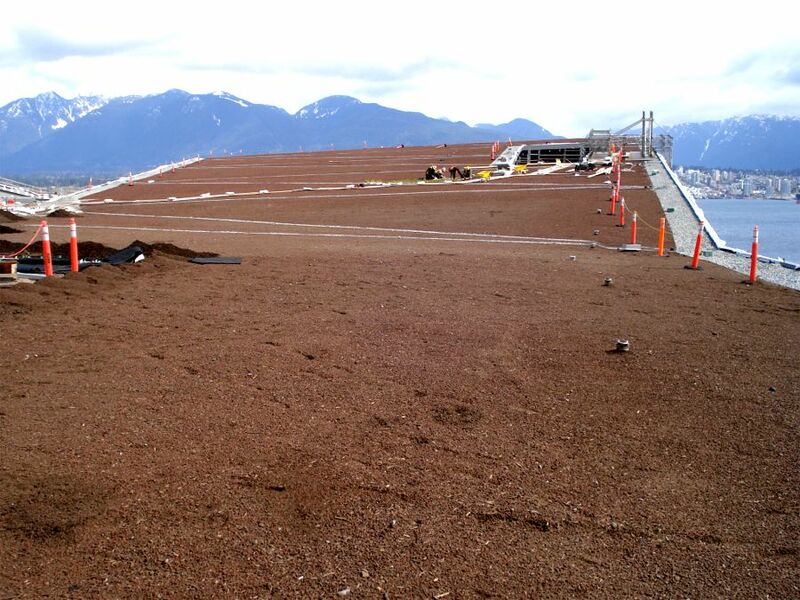 The Vancouver Convention Centre Expansion Project won the 2010 Green Roofs for Healthy Cities Awards of Excellence in the Extensive Institutional category.